The timer ticks downs while everyone holds their breath. Shaky hands clutch pliers and a bead of sweat rolls down a forehead, furrowed over a tangle of wires. The red one…no, wait, is it actually the blue?!!! In Hollywood, dismantling a ticking bomb is a frequent plot twist that leaves the audience with sweaty palms and a racing heart, but in the U.S. Armed Forces, there are actually thousands of specialist trained to dispose of explosive devices. Honor their former or current service the first week in May with a flower as action-packed as their typical day at work: celosia. 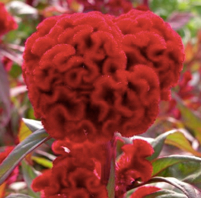 Sometimes referred to as cockscomb, the celosia is a unique annual flower that is shocking in its shape and comes in electrifying colors. The bright, neon yellows and pulsating pinks of these plumed stems are sure to get someone’s attention when presented in a vase or trimmed into a boutonniere. The typical cultivar of celosia has a bloom in the shape of a flame of fire, which is how it earned its name from the Greek word for “burned.” Exactly what we’d all be without the daring skills of explosive ordnance disposal professionals! In addition to the flame-shaped variety, the term “cockscomb” comes from a unique adaptation of some cultivars called fasciation. 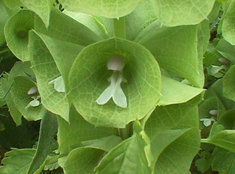 This causes a strange growth of cylindrical tissue to give the bloom a contorted crest- much like the comb of a rooster. The brain-like form of these fuzzy cultivars are fascinating and fun to look at and are a great way to honor the big brains on folks willing to fiddle with live explosives. Originally native to eastern Africa, these ornamental blooms can be found at your larger florists or ordered online. They look great on their own with tropical greens such as palm leaves or galax and mix well with dahlias in a variety of hues. As they are a less common stem to have on hand, it’s best to call your florist with a few days notice so they can order them from a wholesaler. Related to amaranthus, the entire celosia plant can be boiled and eaten in a pinch in case your EOD soldier doesn’t like what’s being served in the mess. While people who dispose of explosive ordnance devices probably don’t like surprises, they’ll get a thrill out of flowers as exciting as celosia. Now, the only crisis is what color to get. The yellow, no wait, the red!!! !